Bi-Office Cork Board 1800×1200 Alum Frame – BQ42277 – OfficeYoo! 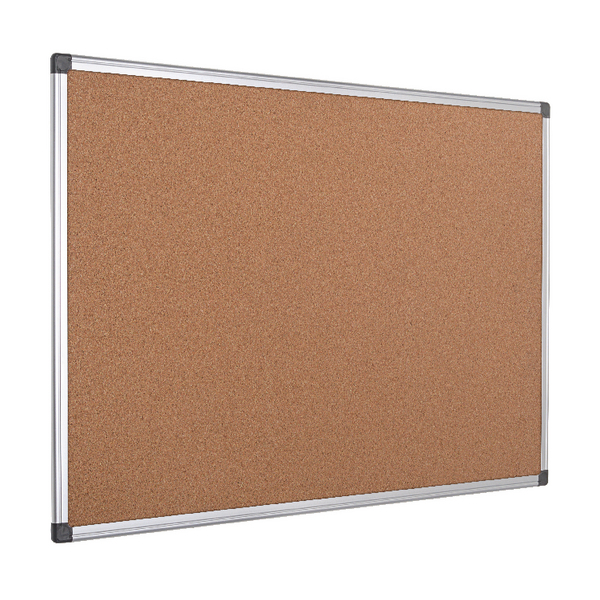 Keep your office well organised with the Bi-Office Cork Board. With a high quality cork surface, you can attach a number of heavy items on to the board without negatively affecting the integrity of the cork. Featuring a stylish aluminium frame, this board is highly durable and stylish, with a rigidity that allows for more reliable use. Supplied with a fixing kit, you can mount this cork board on the wall in a way that is concealed, through the corner.